Choosing from the Infinite Designs of Glassware. The world of drinking glasses is fascinating with so many different types of glasses to choose from. Nobody can have a complete set of all styles of drinking glasses in their kitchen cupboard so this means there is no end to the collectable nature of these – making them perfect for Promo gifts. We already commented on quite a few GWP campaigns for an alcohol brands with custom glasses. Some drinks have to be specially served in a specific glasses, such as champagne or certain liquors. You can’t serve wine in a shot glass or champagne in a beer mug. As a drinks/ beverage brand it is important to educate your customers on what kind of glassware to use and characteristics of these. Most drinking glasses that are used to drink soda, juice or water are referred to as a “Tumbler”. There are various different sizes of these glasses and every glass has a specific name and use. Here are a few examples of tumbler glasses. The Collins glass has a tall cylindrical shape which can hold between 300 and 400ml. It is used for mixed drinks, juice and other beverages. The highball glass is larger and smaller in height then the collins glass and is used for cocktails. 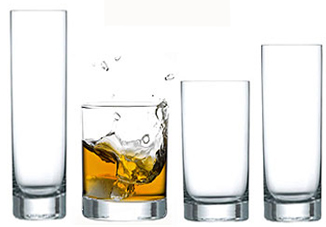 The Old Fashioned glass, also known as the lowball or the rocks is a shorter tumbler glass. This type of glass is mostly used to drink whiskey or other alcoholic beverages on ice (“on the rocks”). The main characteristic of the glass is a large heavy base.Another Table-glass is the common type of glass one would usually use for drinking beverages during meals, very common glass but different shapes and molds exist. Martini glasses are used for cocktails, characterized by a long stem with a flat base at the bottom and a cone shaped bowl. Most cocktails poured in a Martini glass are served chilled this is exactly why there is a need for a long stem to hold the glass, in order for the temperature of the cocktail not to be affected by the warmth of the drinker’s hand. All of these glasses can be customized to your liking by printing logos and brand names on the wall of the glass. Shot glasses are part of the Tumbler family of glasses, mostly used to drink or measure small doses of alcohol (between 44ml – 50ml). Across the world different sizes of shot glasses are common. 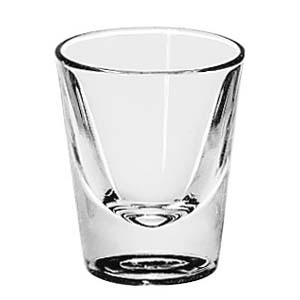 There are an immense variations of shot glass shapes, due to the production process which ables unique mold creations to be mass produced using the machine blown production process. Customization is very easy using the mold process, different sizes, shapes and dimensions are feasible as well as printing logos and brand names. There are an enormous variety of beers across the world and many types of glassware to go with them. The main reasons for different glassware is to enhance the aromatic flavors, or to display the appearance of the beer. The Pilsner glass is used for many types of light (pale lager) or pilsner beer. Usually these glasses are smaller then a pint, they are tall and slender glasses which help retain the aroma , the broad top helps maintain a beer head. The beer stein glassware is an old tradition, it is very rare to be served in a beer in one of these when ordering at a Pub/bar. The stein glass comes from Germany, it has a handle and is usually made from metal or ceramic, its main characteristic is a lid that opens and closes with the help of a levered thumb-lift. The pint glass is the most common glass in which beer will be served across the world. The glass holds a pint (473ml) of beer and is most commonly used for stout, porter and bitter beers. There are various different shapes of pint glass but the most common are a jug, conical pint, and the nonic pint glass. The Tulip glass is used to drink Belgian, Scottish ales and aromatic beers. This type of glass has a specific shape which helps trap the aroma of the ale and allows a large beer head thanks to the bulbous body of the glass. The tulip is the best glass to enjoy the smell of the beer due to its unique shape. Make sure not to get caught drinking from the improper glass you favorite beer. Another complex category for glasses is that of wine and champagne. Different types of red wines, depending on their body and aroma, need to be served in different glasses. The Bordeaux glass is shaped with a broad bowl, specifically designed for full bodied wines such as Cabernet Sauvignon and Syrah red wines. The Burgundy glass is broader and has a bigger shaped bowl in order to accumulate the aromas of more tasteful wines, this specific shape is designed to direct the taste of the wine to the front of the tongue. White wine glasses have different shape styles to accentuate the aromas and characteristics of the wines. The most common glass for wine is a wide and shallow glass which is used to drink Chardonnay. Champagne is served in one of two styles of glasses, the Flute or the Coupe. The Flute is very tall stem glass with a narrow bowl. The narrow bowl helps the bubbles of the wine travel a greater distance to preserve the bubbly characteristics of the champagne. The Champagne Coupe is a very shallow stemmed glass with a broad bowl. The champagne looses its carbonation much quicker in this glass then when poured in a flute. The Coupe is less used nowadays as it was made for sweeter champagnes whereas the most common champagne nowadays is very dry and is best served in a flute. 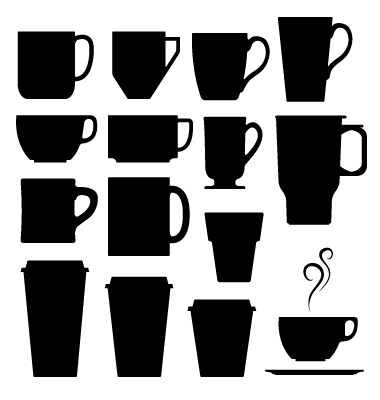 Mugs and Cups are most commonly used to drink coffee, tea or hot chocolate. Coffee can be served in a Glass mug or served into a small cup if drinking an espresso. Tea is traditionally served in a small cup with a matching saucer. There is an infinite range of sizes and shapes to choose from. Some very cool designs of mugs and cups are available on the market. With mould creation any type of shape can be made these days to have a fun original product. All of these glasses can be produced to be custom made with your company’s logo and brand name. Great gift for corporate clients and customers or can be used as a GWP campaign for all companies. 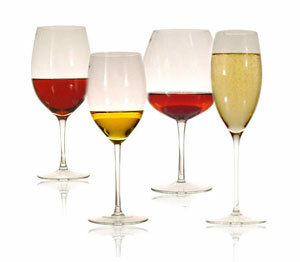 Glasses for wine, beer or soft drinks as well as mugs and shot glasses are always a great gift that clients will use. Best to offer as a set of two to six or more items. Products like this are great for promotional use as they will be reused over and over again and have a long life cycle. A coffee mug for example can be used at the office and be seen by dozens maybe hundreds of people over a week period of time. Contact us for any requests for manufacturing and customization of any type of glassware. Our teams will be able to help you design and oversee the production of glassware products. Machine Blown Drinking Glasses & Sampling. What is the best process to manufacture Glasses? Asahi Frosted Glass Promotion. Thirsty. Manufacturing Custom Promo drinks glasses. Don’t forget packaging to protect glasses and to greatly increase perceived value ! !